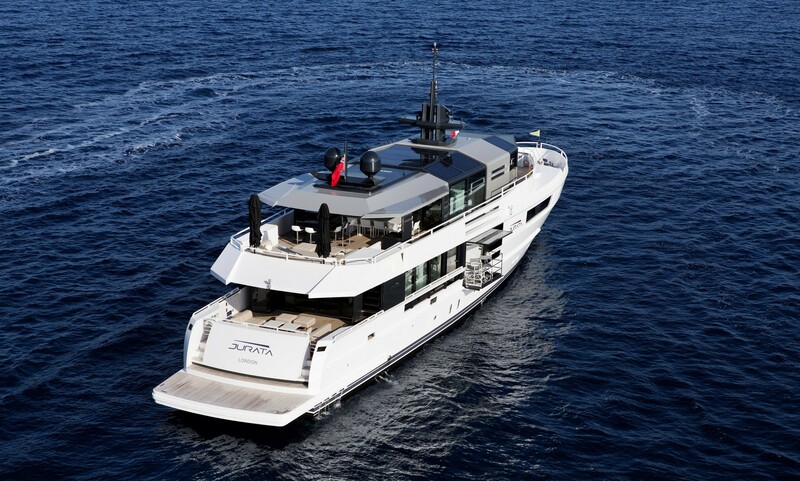 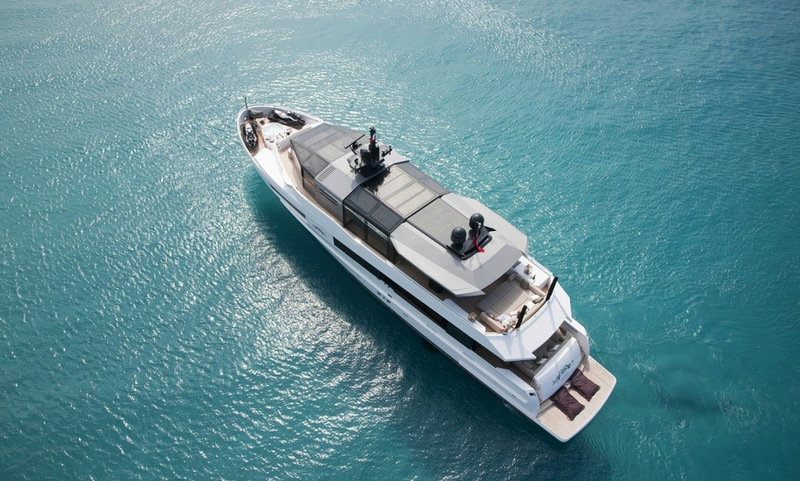 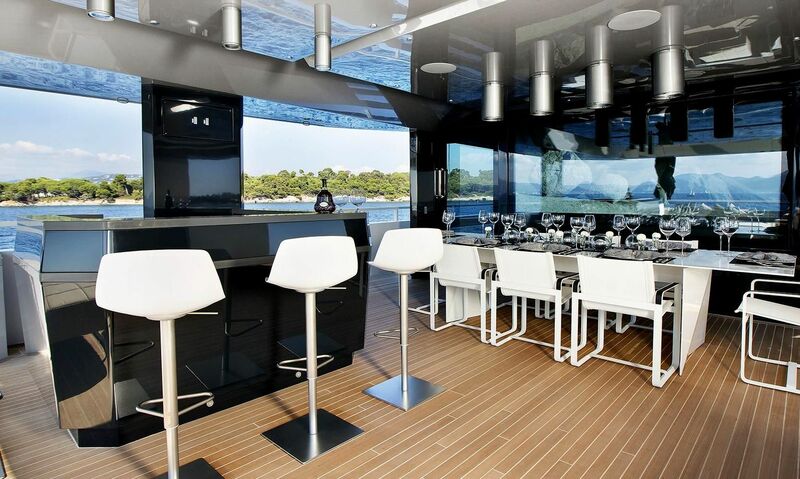 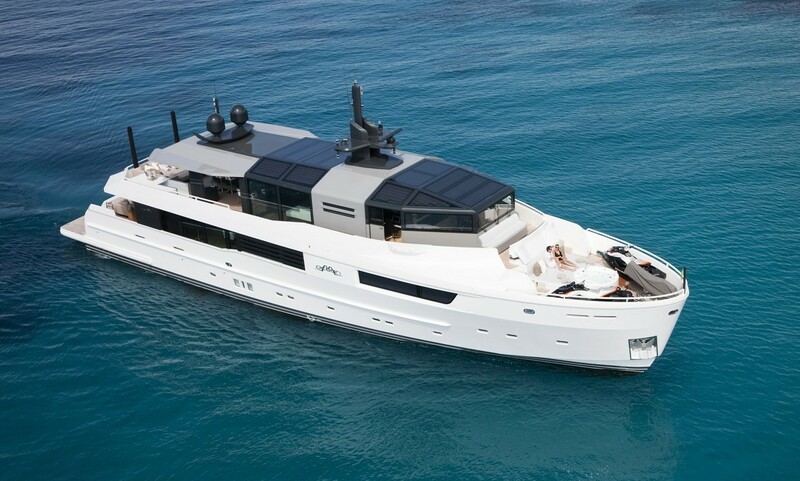 The 35m Arcadia motor yacht JURATA was built in 2014 by Arcadia. 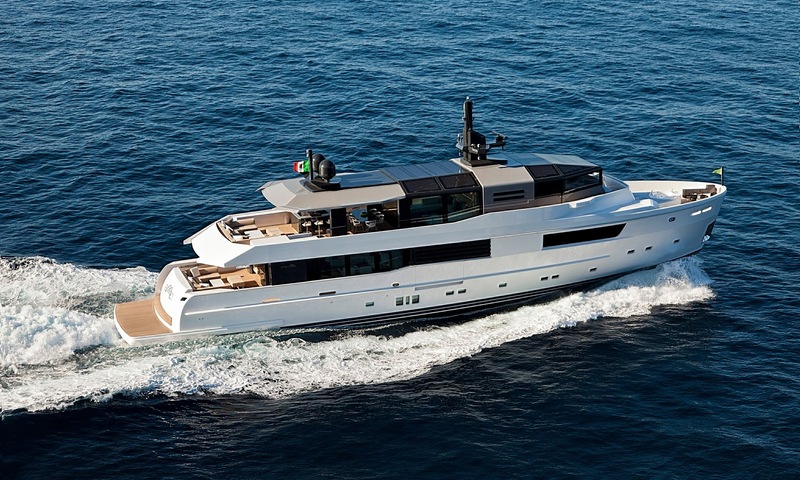 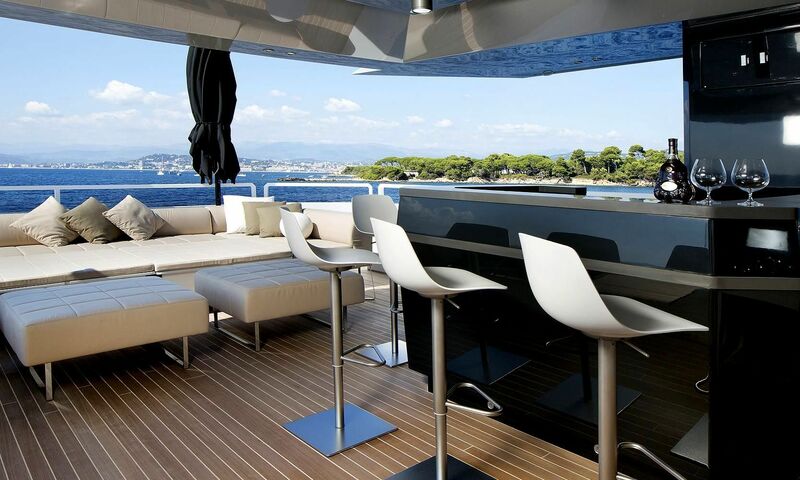 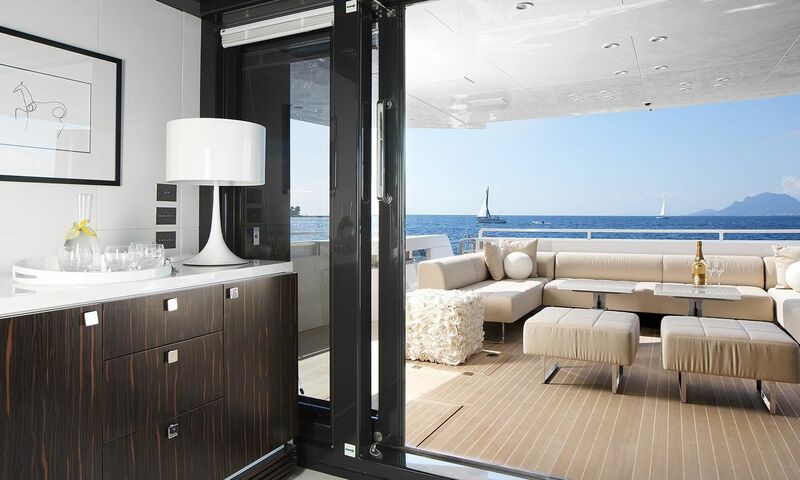 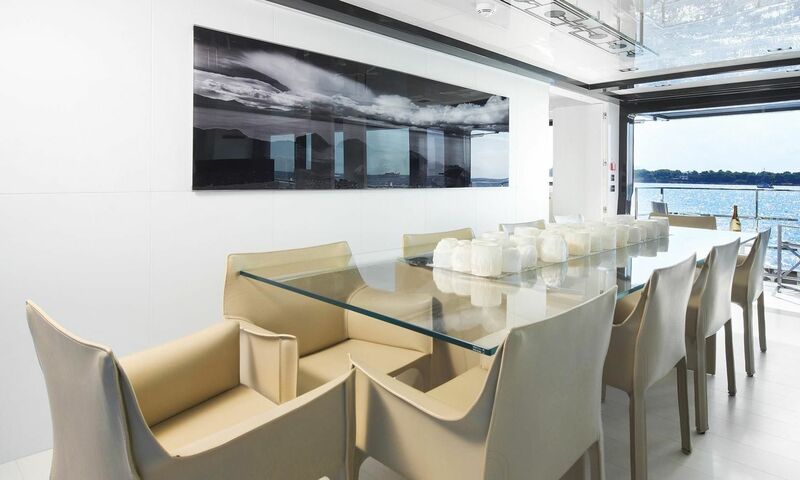 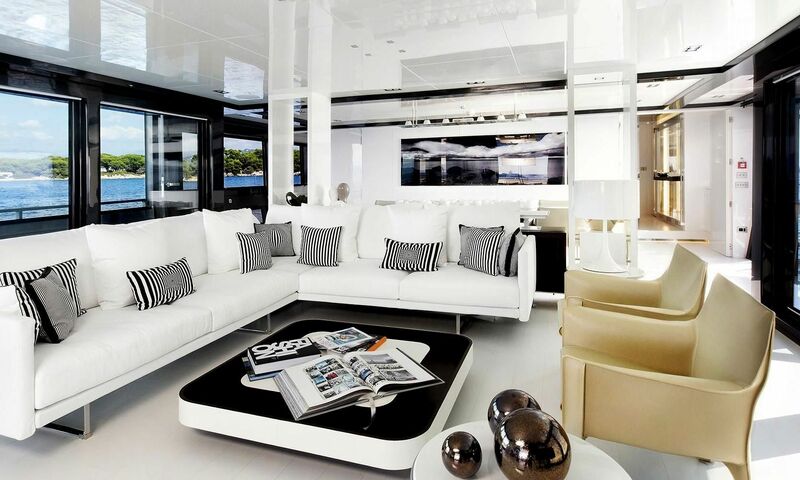 This luxury vessels sophisticated exterior design and engineering are the work of Francesco Guida. 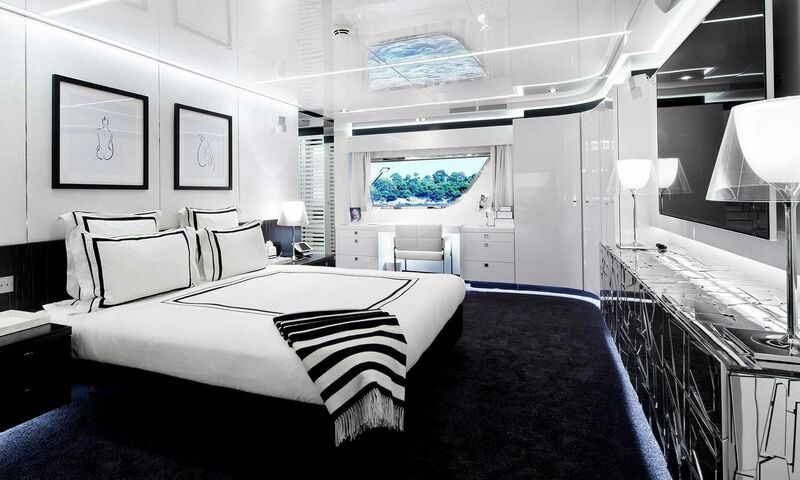 A new way to experience the sea, with innovative and ethical values integrated into her systems, enabling guests to enjoy the sea whilst respecting nature. 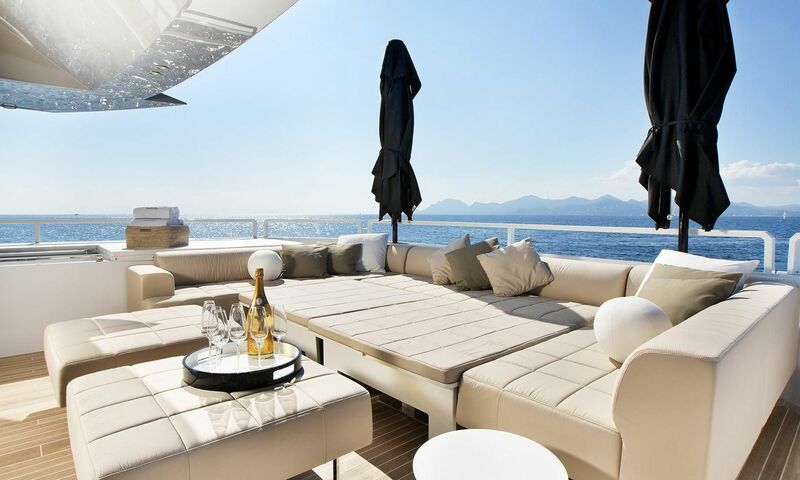 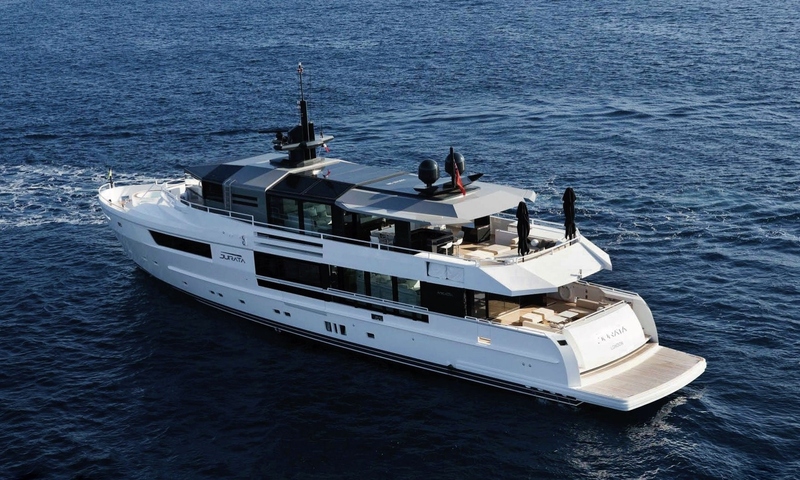 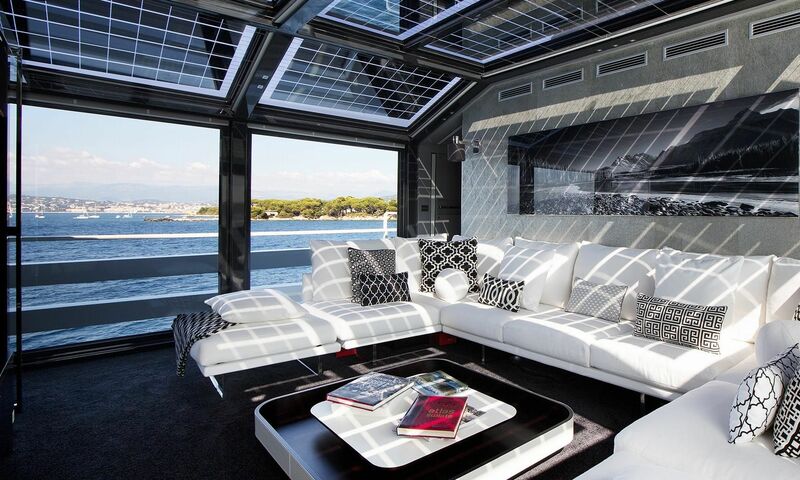 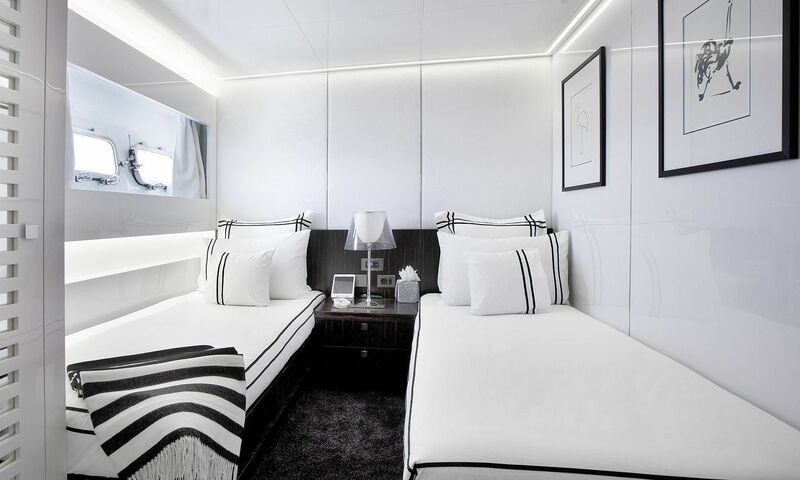 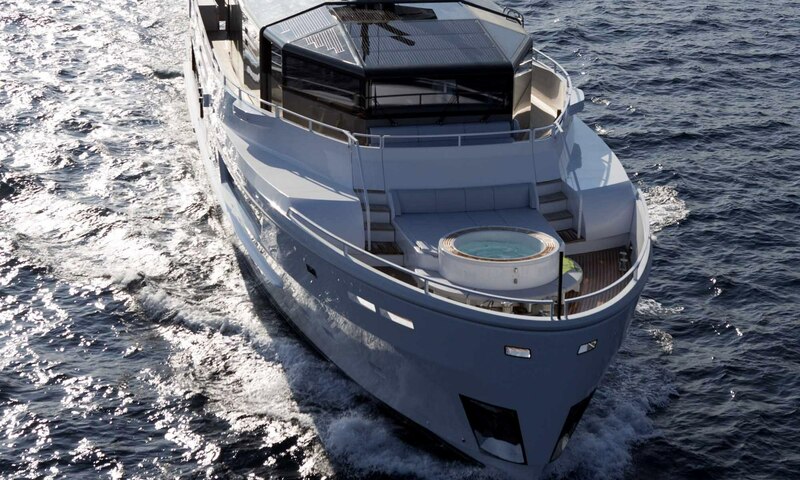 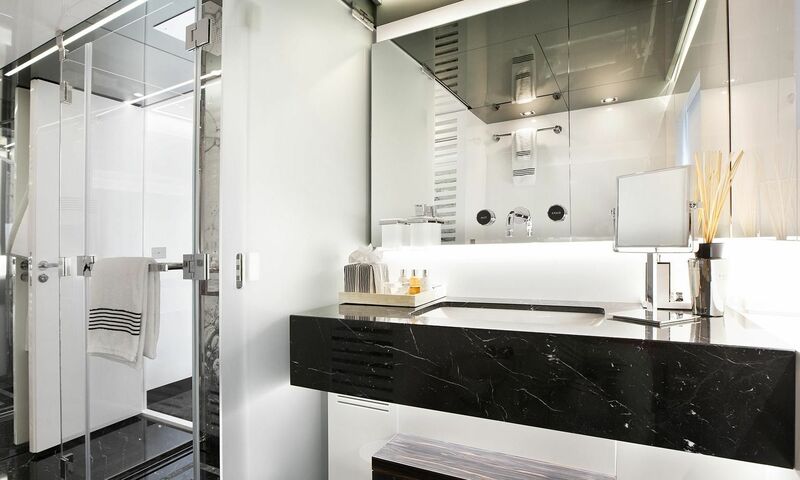 Her design includes solar panels to run systems when at anchor and offers stylish accommodation for 10 guests with a full beam Master suite on the main deck complete with vanity area and study, a large bathroom with Jacuzzi. 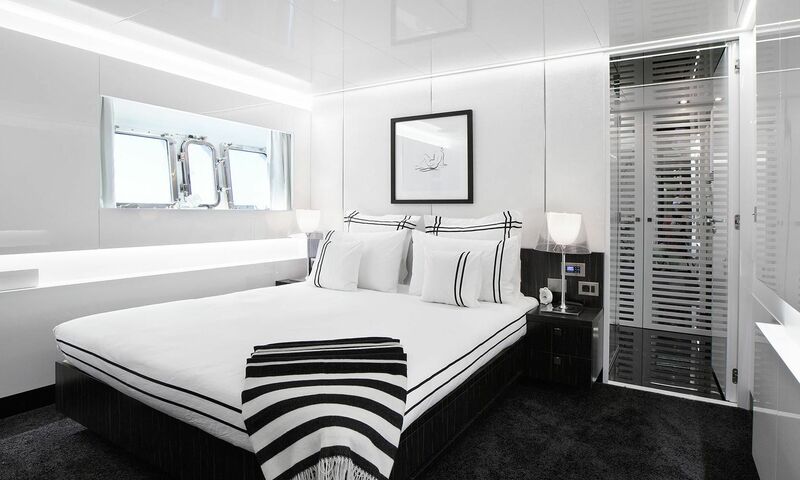 Then a further 2 double and 2 twin staterooms all with LED 3D HD TV, Satellite TV, Kaleidescape, Airplay, USB input, FM Tuner & Sonos Music Player.